Payntr Cricket is the most exciting new brand to emerge in the footwear department for a very long time! Utilising the expertise of former county player, David Paynter, the Owner and Founder of the company, and drawing on unmatched cricketing heritage, the company have produced one of cricket’s best and most popular shoes for the 2018 season. The legend of Eddie Paynter, grandfather of the brand – who showed guts, courage and determination to score 83 against Australia on the famous Bodyline tour – lives on in the company, embodied in the shoes which carry his name. Now in stock in our Central London showroom are both the Payntr X MK2, and the Payntr Evo Pimple. The MK2 is a revolutionary, “game changer” of a spike, an evolution of the industry defining Payntr X from 2017. 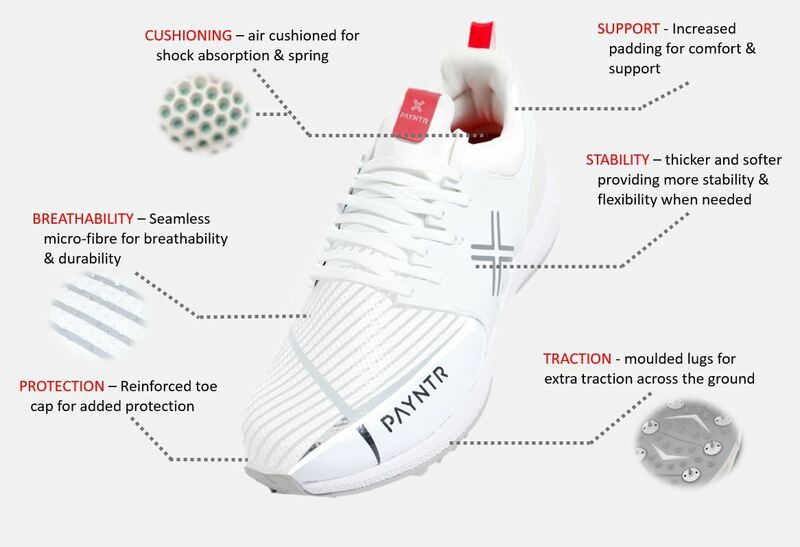 Based around a running shoe design, to provide an ergonomic fit, maximise comfort and minimise weight, the Payntr MK2 shoe, building on the successes of the MK1 has been flying out of the door here at It’s Just Cricket! 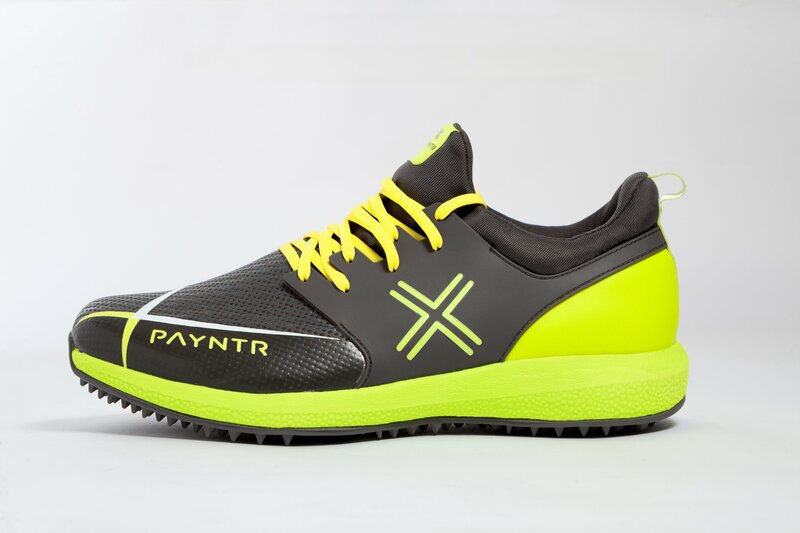 The ‘X’ logo on the shoes is designed to represent the fusion of a running trainer and a cricket spiked shoe, featuring cushioning, support, breathability, protection, stability and traction. It’s not hard to see why these are quickly becoming my favourite cricket shoe on the market! For more technical features and insight, check out our YouTube reviews of the Payntr X series here! I really love how they have listened to the feedback from 2017, directly implementing that into the new shoe, and thus ensuring that customers get to experience the changes they were calling for. 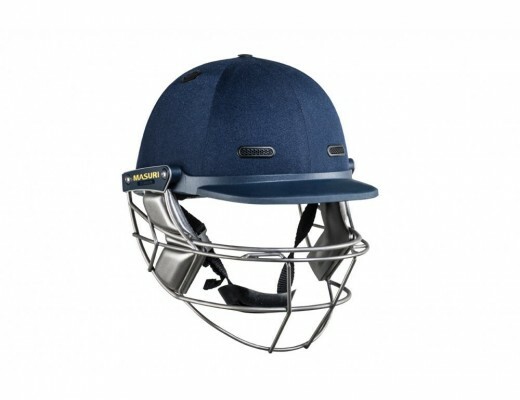 Significant upgrades include a thicker and softer padded collar for comfort, a vastly improved upper, to make sure the shoes are much more durable and can handle even the toughest of conditions, as well as a strong reinforced toe cap for protection, and abandoning the much maligned ‘speed lace’ system present on the 2017 offering. I also absolutely rave about the multiple colour choices available – there really is something to suit everyone. The all white Payntr shoes are the epitome of class, with subtle contrast detailing in charcoal grey to ensure they stand out, whilst the T20 coloured shoes, in both yellow and black, are my choice for this season. Playing in coloured kit, it’s nice to have the option of shoes which stand out a little more, whilst knowing that the quality and specific cricketing attributes are well taken care of. For those of you who are even bolder than I am, you could even get one shoe in black and one in yellow, with a special “mix and match” pair! The attention to detail that the brand provides is also industry-leading, with such small features as branded spikes (not even big companies like Adidas do this!) in the box, and a personally signed “Thank You” card for purchasing a brand new pair of Payntr cricket shoes. Further, the value for money of the Payntr’s really appeals to me. These days, a decent running trainer is a minimum of £90, if not more, and then to get them spiked up by a professional will set you back another £40, whereas the Payntr, with the added benefits of being a cricket specific shoe, comes in at less than £80! Not only that, but the highly popular Evo Pimple Rubber, perfect for many of our overseas customers (who mostly play on artificial wickets), or just for indoor training, are comfortably under £60, meaning you could buy a pair of the pimples and the spikes for the cost of getting a normal running shoe spiked up! Plus, the rubbers boast the exact same technical features as the spike, guaranteeing stability, agility and support – something which a lot of rubber shoes fall short on. And since a lot of play on astro-turf is done in coloured kit, whether it be training or T20 games, the Evo Pimple Rubber in Black & Yellow is a fantastic option to dominate the game and make your presence felt. We’ve even had enquiries about the shoes from customers for other sports, such as hockey, where they would be an ideal option too! A number of shoe companies have been very much flash in the pans, but Payntr’s international success looks set to ensure that they continue to challenge the market leaders – Adidas, New Balance, Asics etc. 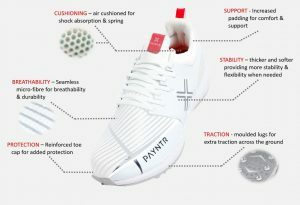 During a time where the so-called ‘big boys’ of the footwear market are exiting the cricket industry here in the UK, such as Nike and Asics, Payntr is stepping up with a global reach, and are currently hiring to add to their team based in Leeds, England. 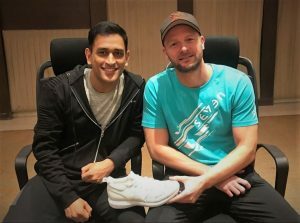 In the last couple of months, the brand has announced a partnership with Indian cricketing legend MS Dhoni, which will see the wicket keeper wearing a special MSD7 camo infused range of Payntr shoes, ensuring they receive global attention. The agreement will see the MS Dhoni owned SEVEN brand co-designing a range of shoes in various colours and trims for the Asian market, expanding the rapidly global Yorkshire based business. 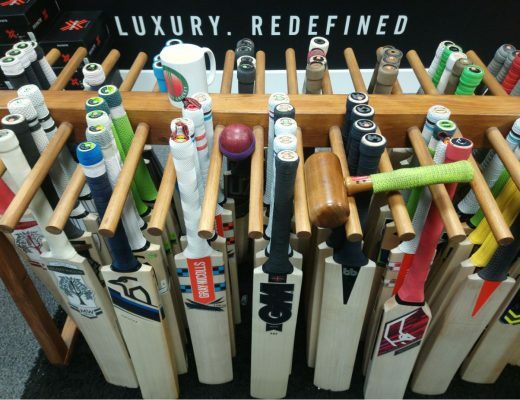 It’s not often that a brand comes along which gets us this excited at It’s Just Cricket. And it’s even rarer when that brand comes from the footwear section of the industry, which is exactly what Payntr has done. Rapidly growing, their sales speak for themselves and I genuinely think they can be called “game changers”! Our customers can’t get enough of the value for money, gorgeous aesthetics, innovative technical details and running-shoe feel of the Payntr cricket range for 2018. 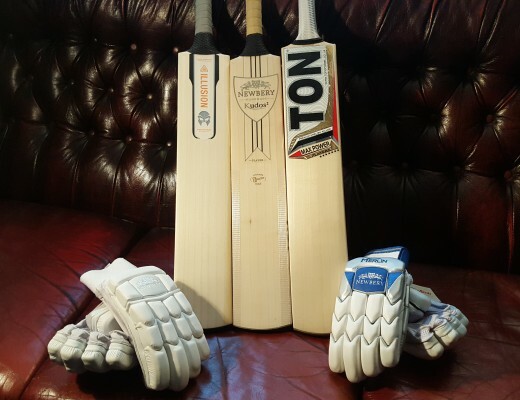 As a thank you for reading, take 5% off any Payntr cricket shoe, by using code BLOGPAYNTR5 at checkout on our website, www.itsjustcricket.co.uk. Sales & Marketing Manager at It's Just Cricket. 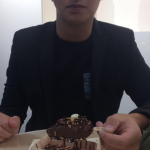 Passionate cricketer, terrible chat. Huge NFL fan and a lover of all sports!